I know I’m not the best blogger in the world. I don’t post regularly, I don’t have one particular topic that I write about, I don’t have hundreds of followers. I started writing this blog for me. To keep track of the work we were doing in the house. It has moved away from that a little bit as DIY isn’t the only thing I talk about (or very often these days!) but I still write mainly for me. After Christmas I started writing my round up post. In order to do that I read through a year’s worth of blog posts. Okay so I skim-read my way through 😉 While doing that I came across this post. 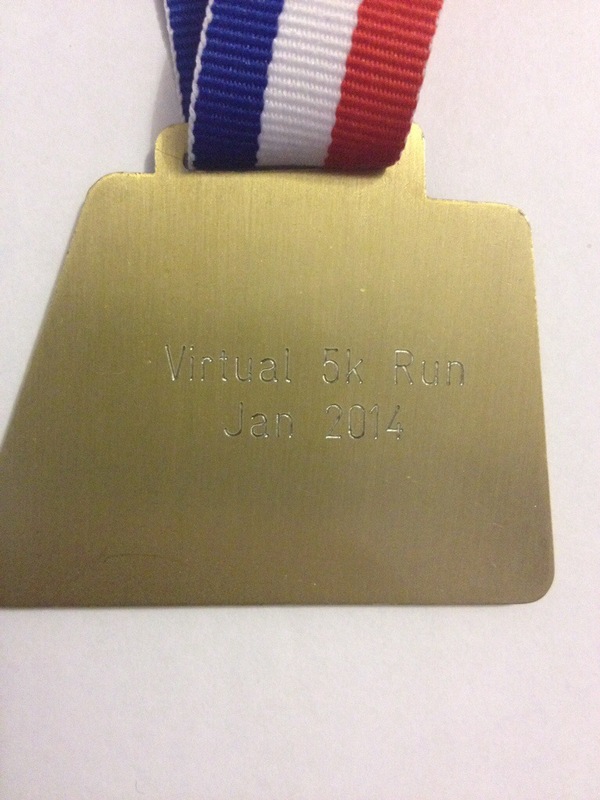 The post shows my first running medal of 2014 and also talks about the virtual run idea. I was amazed as I read it. In one part I talk excitedly about my time “I’m pleased to say I smashed my PB by over a minute and I ran the whole way!” A whole minute! How fantastic. I looked back to the photo to see what my time was and I was shocked. The PB I was so excited by?? 36:32!! I was gobsmacked when I saw this time. Back last year I joined a running club. I am always the last (wo)man home. Always!! I am so slow sometimes I wonder if it’s worth me being part of the running club at all. They have to wait around for me to get back to the studio when we do a long run. They have to hang around at the end of races to have the group “with medals” photo. No one can move on to the next interval until I’ve finished the previous one. And I’m not getting any faster! It’s deflating to say the least. Reading this post really opened my eyes. I decided to sign up for the Virtual Run for this January to actually compare my times. To have visual proof of how far I have actually come in a year. To prove to myself that I have the right to be a part of the running club. And I went out and ran 5k. My time? 33:47 on a very hilly route! So I have my first running medal of the year. Yay!! It was for running a 5k virtual race. Yes a virtual race sounds easy doesn’t it? That’s what I thought when I first heard about it through twitter. 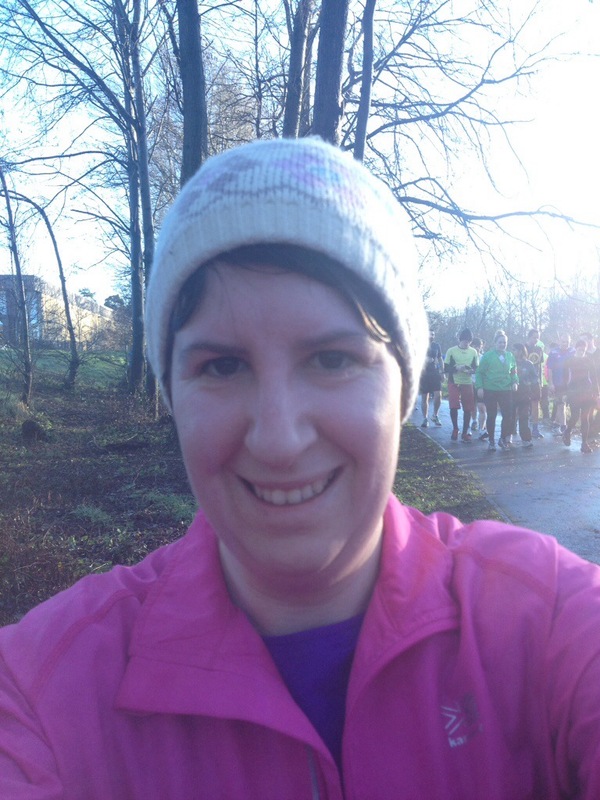 The lady who organises it can be found on twitter @VirtualRunneruk or you can go to her website to read all about it. Basically you pay the entry fee for the month (in this case January) and then you have to complete your race between specific dates. You can run anywhere, anytime. Then you tweet or email your proof to claim your medal. I chose to run my race at parkrun. For once I left little lady at home (in bed no less) and went to parkrun on my own. 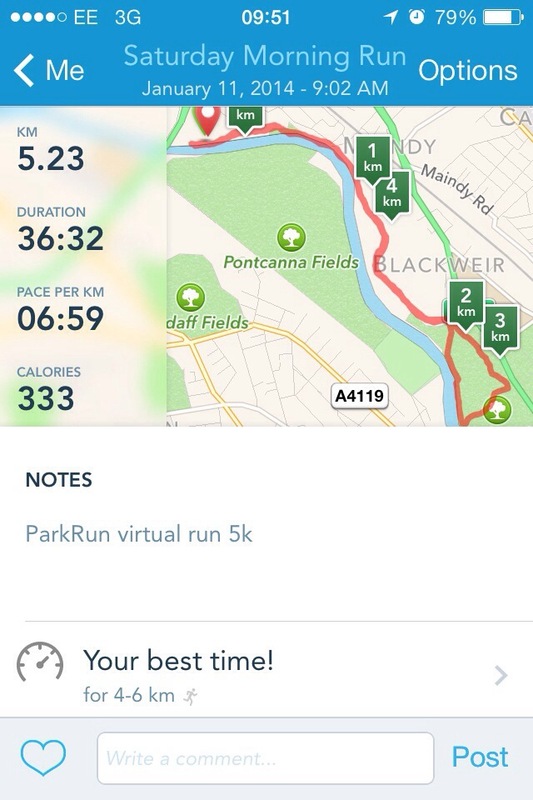 I’m pleased to say I smashed my PB by over a minute and I ran the whole way! No stopping or walking!!! I was so pleased, although I did feel silly trying to take a selfie straight after the race to send as proof alongside the above photo. Not my favourite picture I have to admit with my chubby face!! 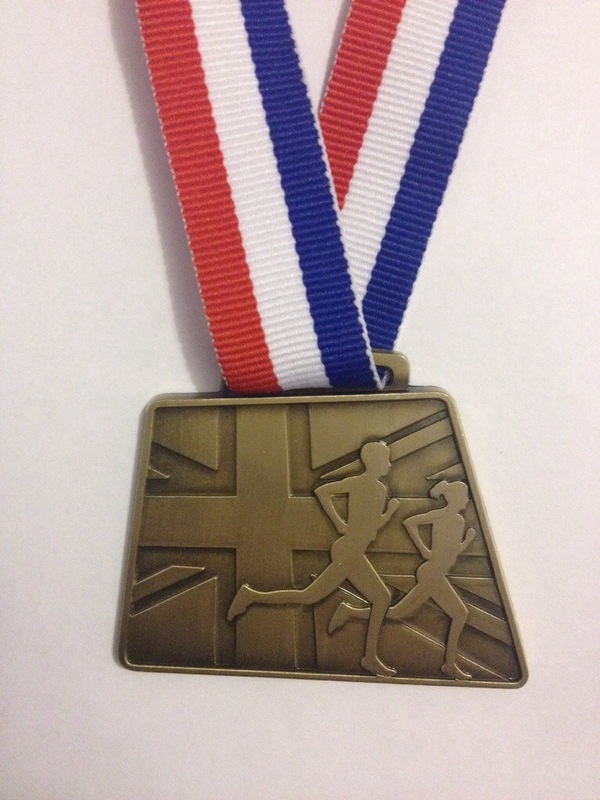 I was very impressed with both the speed of the arrival of the medal and the quality of the medal itself. It is actually really heavy! It’s also engraved on the back. Having the virtual race to aim for has really helped me to stick to my training plan (ie actually run during the week) and it’s really convenient as a lot of races are on a Sunday which makes it difficult for me with church.